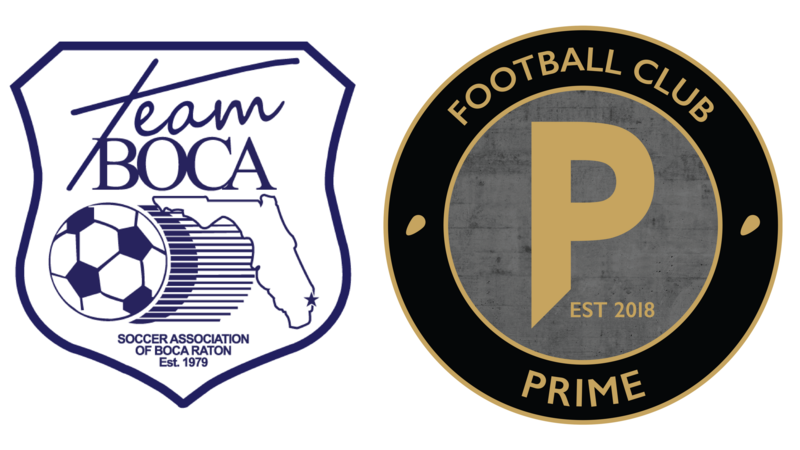 Team Boca and Football Club Prime Form Partnership | Football Club Prime Inc.
May 25, 2018, Boca Raton, FL: Today, two of south Florida’s leading soccer clubs, Team Boca and FC Prime, announced a strategic partnership to align two of the nation’s strongest youth soccer programs. Over the past months, Team Boca and FC Prime leadership have had several meetings, sharing club philosophies and long-term vision for enhancing youth soccer and creating new opportunities for players in Broward and Palm Beach Counties. A mutual passion for developing individuals on and off the field, using a holistic approach to make a positive community impact, illustrated the need for the immediate organization alignment. From the outset, both clubs have shared the same overriding collective goal of providing their players with the best possible path to play and to further their education at the college level. Team Boca is nationally recognized with a rich history of competing at the highest level, developing elite players and placing hundreds of players into college programs across the nation. Over their 40-plus years, Team Boca has fielded numerous championship teams at the state, regional, and national level.